Bring productivity & health together with the FitDesk. 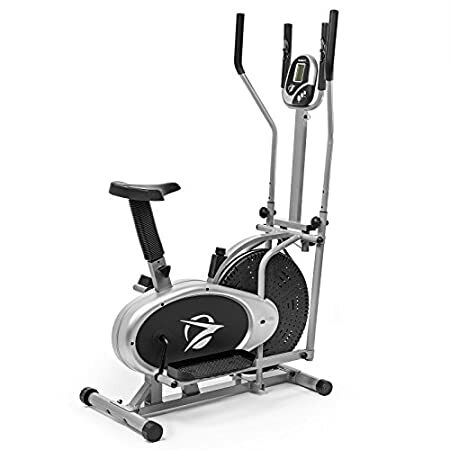 The FitDesk 2.0 lightweight folding exercise bike with sliding desk platform is perfect for improving your cardiovascular health while working on that next big deadline, surfing the web or keeping up with friends. Using a laptop, reading a magazine or playing a video game while engaging your legs in resistance pedaling has significant health benefits over inactive sitting for long periods. Adjust your resistance level throughout the day for a varied workout or use the included convenient upper-body resistance bands for an added cardio boost. 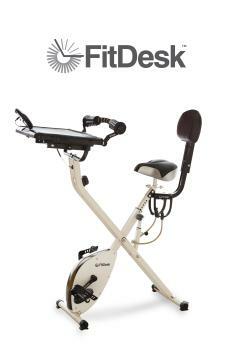 FitDesk offers comfort for all day riding with a beach cruiser style seat, adjustable back rest, and forearm massage rollers provide relief from daily typing strain. Comfort adds to the functionality by allowing you to spend more time exercising while working. There is no need to limit your exercise to before or after work when you can do both comfortably. 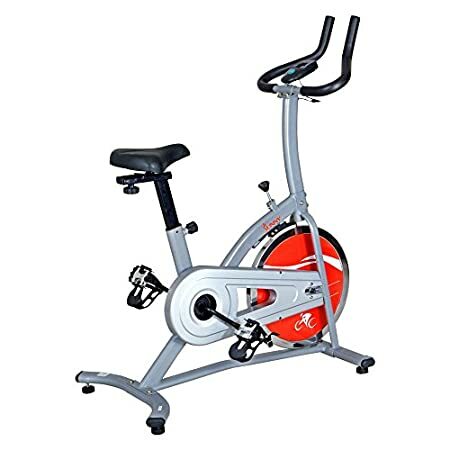 You can expect a reliable, quiet and comfortable experience with your new FitDesk exercise bike. Bike, Adjustable Desk, SeatBack, Seat Extender, Laptop Strap, Performance Meter, Resistance Bands, Transport Wheels, Instructions. Steel frame is rigid for stability and beach cruiser style seat ensures comfort. Steel Frame is compact yet balanced for stability. Easy adjust 8 position Magnetic resistance with frame mounted control knob for a harder or easier workout. Ensure a well rounded cardio workout with convenient resistance bands for upper body exercise when not typing. Backrest and Extender included allowing for upright and semi-recumbent use all day. Backrest and Extender included allowing for upright and semi-recumbent use. All this while you have easy access to the FitDesk platform where you can securely fasten your laptop. 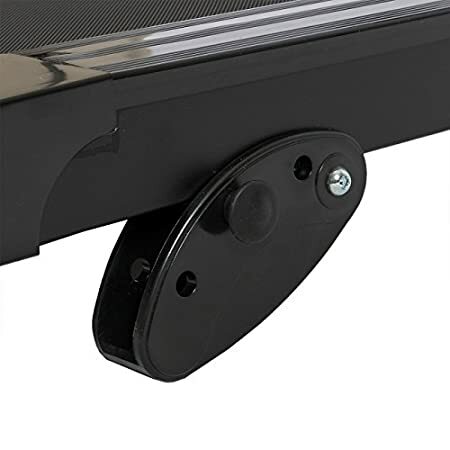 Easy adjust beach cruiser style seat along with 4″ seat extender allow for quick and correct fit for users from 4’10” to over 6’. Recommended weight limit: 250lbs. Desk features non slip surface, easy access drawer and massage rollers positioned to make typing while exercising comfortable. Desk features non slip surface, easy access drawer and massage rollers positioned to make typing while exercising comfortable. 16 x 19 inch adjustable desk surface fits laptops, magazines, and more. A storage drawer for convenient storage of small items such as pens, earbuds, music players, and phones. Easy-to-Read Digital resistance meter tracks mileage, calories, and time. Support your upper body and relieve typing strain with Patent Pending Massage Rollers. An adjustable armrest with padded and contoured massage rollers for your forearms provides support and comfort for any body height while working on your laptop. Quick lock compact folding frame with built in wheels is great for easy transport and space saving storage. Fits naturally into your daily routine, bringing productivity and a healthy lifestyle together. 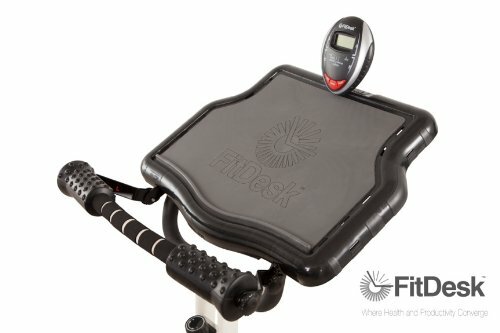 The FitDesk is the exercise bike you will actually use. Quick lock compact folding frame with built in wheels is great for easy transport and space saving storage when not in use. 16 x 28 inch footprint. Magnetic resistance provides smooth and even pedal motion throughout 8 calibrated resistance settings. We use all Aluminum and Steel gear box components instead of plastic for years of reliable operation. The whisper quiet, twin belt, high velocity flywheel delivers a ‘big bike’ feel in a lightweight product. ‘Balanced’ flywheel and ‘Precision Sealed’ Bearings ensure Smooth operation that won’t distract from work or cause vibrations on desk surface. Durable Powder Coated Steel frame. 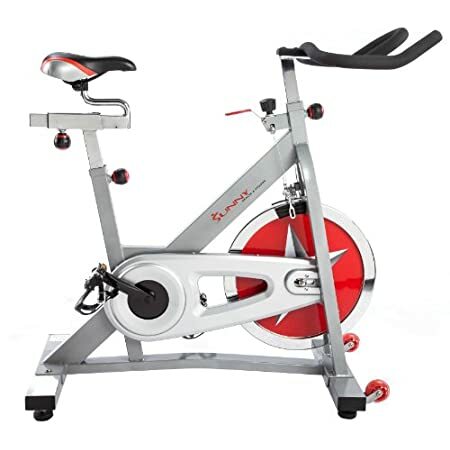 $559.96 (as of December 7, 2016, 3:06 pm) $139.99 Sale!